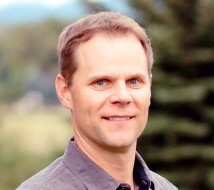 Tyler Bluth received a Masters of Physical Therapy from the University of Utah in 2001. He has many areas of specialty including an extensive orthopedic background with focus on sports medicine. His goal is always the well-being of patients during their journey to full-functional activity. Whether it is young athletes or the elderly, Tyler loves getting people of all ages back into action. Tyler has worked closely with orthopedic surgeons on the advancement of rehabilitation related to total joint replacement. Has worked extensively with total knees and total hips from the hospital setting to the outpatient clinic. Tyler also has training in the rehabilitation of the temporomandibular joint. In 2000, Tyler was diagnosed with Multiple Sclerosis. Through dealing with this autoimmune disease, he has gained insight into special populations such as MS, stroke, Parkinson’s Disease, and other related autoimmune dysfunction. He is highly skilled in providing physical therapy treatment for these conditions. Tyler enjoys cycling in the beautiful Heber valley where he grew up. He is married and enjoys coaching baseball to his 3 boys. Tyler is located at the Heber City location and provides home health physical therapy.